We include a 1 Year warranty on every product we sell; including the used ones. Quality is key, and so we don't sell junk! 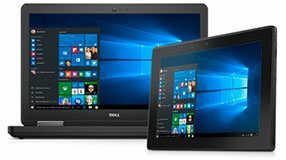 We stock only Dell genuine parts when applicable. This ensures you get the right parts, the first time, and it is guaranteed compatible. You will be amazed by our customer service team. You can call and actually talk to a real person that really knows what they are talking about. We specialize only in Dell laptops, so we better know our stuff. We guarantee that your shopping experience is safe and private. That green bar at the top of the page shows that we have spared no expense with our website privacy encryption. In addition to our high grade encryption, we have teamed up with Norton, the Antivirus company, to give you a Norton Safe Shop Guarantee. With your purchase you get 10,000 Identity Theft Protection. Over the last 16 years we have build trust in the Dell community. Even Dell tech support recommend us their customers. People have found Parts People to be more reliable than purchasing replacement parts from Dell itself. - No Back Order. Our website has a real-time inventory which is always correct; you will not get a call stating that the part is on back order. - Same day shipping. Every order ships same day Mon-Fri before 4pm CST; not usually ships in 3-5 days or 3-5 weeks. We ship the same day period. - We have the parts. We stock the parts that Dell no longer stocks. You can keep your Dell laptop going as long as you want to. - Warranty, Support, Manuals, and Video tutorials are all supplied free of charge with your purchase. 16 years in business and 500,000 satisfied customers. You will be amazed by our excellence!